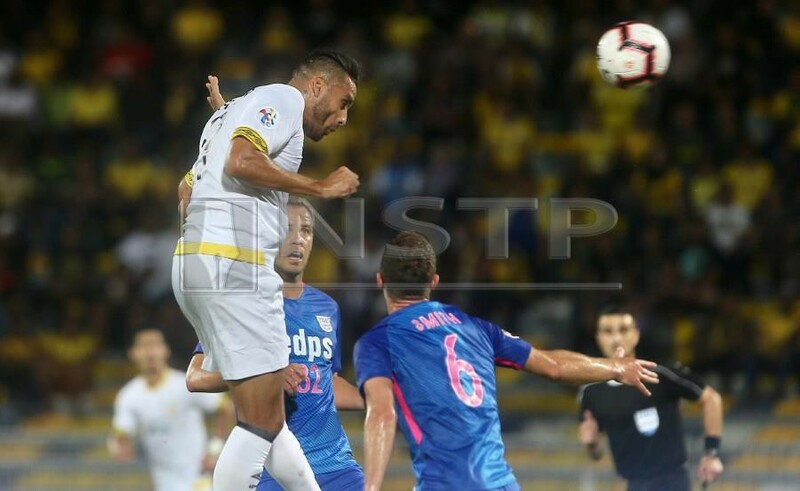 IPOH: Defending Malaysia Cup champions Perak proved that they are worthy winners when they advanced to the third qualifying match of the Asian Champions League (ACL) when they laboured to defeat stubborn Hong Kong side Kitchee FC on penalties after both teams were tied 1-1. In an action packed match that took place at the Perak Stadium last night (Tuesday), Perak goalkeeper Muhammad Hafizul Hakim Khairul Nizam Jothy emerged as the hero for the home side when he managed to pull off two penalty saves which enabled The Bos Gaurus to go through, winning 6-5 on penalties at Kitchee’s expense. Perak were impressive in the first half as they forayed into the opposition half to put pressure on Kitchee’s goalmouth, with Brendan Gan constantly driving the team forward and orchestrating their attacking moves. Perak’s attacking play bore fruit as early as the 13th minute when a cross from Mohd Nor Hakim Hassan was headed on by Gilmar José da Silva Filho before Wander Luiz Bitencourt Junior who was unmarked pushed the ball past the goal line for the home side to take an early lead. Kitchee tried to respond by finding an equaliser, but their efforts led by dangerman Lucas Espindola were thwarted by Perak’s captain and defensive stalwart Shahrul Saad as the first half ended with Perak holding on to their slim lead. Early in the second half, Alex Chu Chi Kwong’s side were left reeling when defender Matthew Smith was shown a straight red card after picking up his second yellow card in the 49th minute. Despite playing the second half with only ten men, Kitchee refused to give up and instead tried to attack Muhammad Hafizul Hakim’s goal but the Perak custodian was in top form as he managed to frustrate the Hong Kong side’s forwards. With the match seemingly heading towards a victory for Perak, Kitchee’s substitute Li Ngai Hoi silenced the home fans when he scored the equaliser in the 86th minute which forced the match into added time. Both teams played cautiously during the 30 minutes of added time which led the match to be decided on penalties. Perak then prevailed during the penalty shootout thanks to Muhammad Hafizul Hakim’s heroics in stopping two penalties from the visitors. The win sees Perak qualifying for the third qualifying round of ACL where they will next travel to South Korean to face Ulsan Hyundai on February 19 (Tuesday).